Frank Morales and Turner Hahn are a couple of hard working homicide detectives. Morales, the family man, is a big ugly lug of a man with a keen intellect and an unquenchable thirst for knowledge. Turner Hahn is a single man with an uncanny resemblance to Clark Gable and a love of muscle cars. Wealthy beyond the means of most detectives Turner doesn't need to work but without his job he'd go stir crazy. The story is largely told from Turner's perspective. 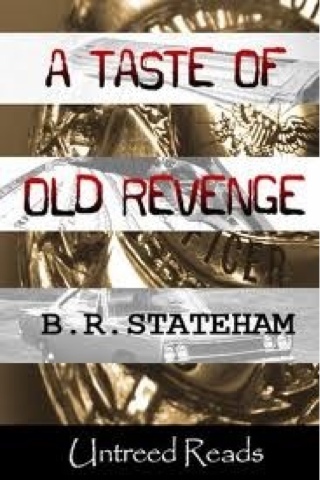 What Stateham offers with this novel is a good old fashioned detective yarn. His characters are interesting and he adds to them as the book develops. He describes the snow bound city excellently and I had no trouble picturing this freezing setting. The author spins a convoluted tale which follows our two detectives on several cases. Are the cases connected? Who is constantly tailing our heroes? Can the FBI, who just happen to be in town, be trusted? These are questions that will be answered within the book. This story looks at old secrets and ancient grudges and what happens when money and power are abused. A tale that goes back to the Second World War. Stateham's fiction is solid, realistic and totally without pretention or author's ego. He pays attention to detail at all times without making the book hard going. A thoroughly enjoyable read that like one of Dewey's chillis, left me hungry for more.